Yes, you read correctly. I said “Whip your face!” but I mean with Olay® Regenerist Whip SPF (Active Moisturizer with Sunscreen). Whew; that’s a mouthful of goodness. As you know, for the last several years I have been regularly using Olay® products. 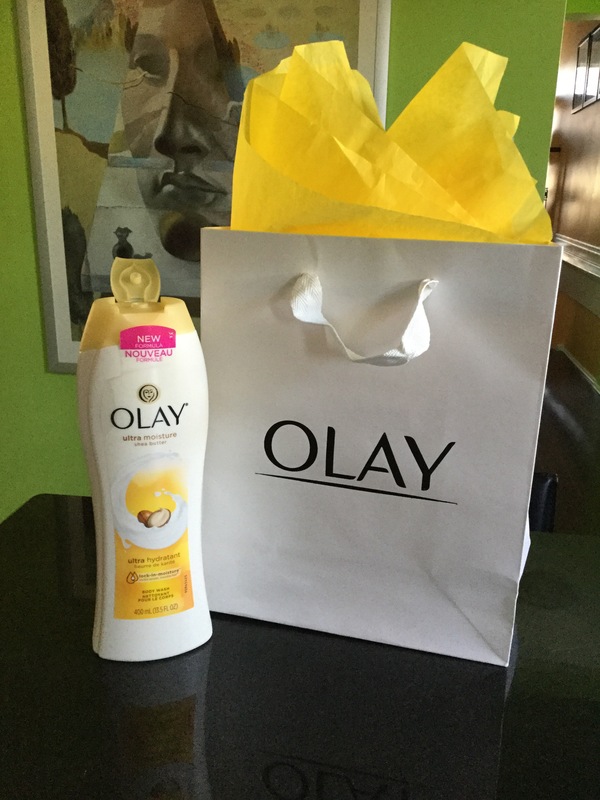 I’ve been pleased with the results I get and that’s why I continued to use Olay®. 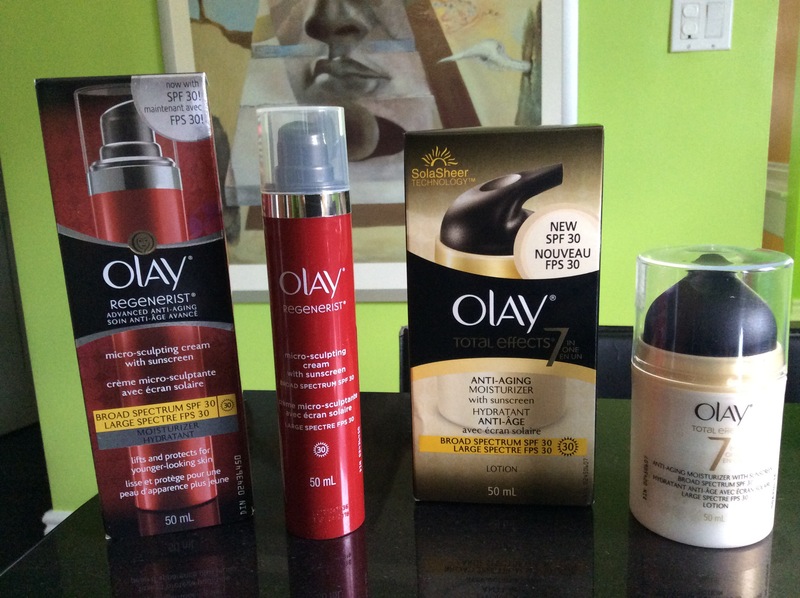 Recently, I was sent a 50 mL sample of Olay® Regenerist Whip SPF so that I can experience first-hand. . I am glad I was given the chance because now I can share what I think with you. When you get the chance to try for yourself don’t hesitate; do it. You’ll find that Olay® Regenerist Whip SPF is just like they say “light as air finish”. I’m serious! Once applied on your cleansed face prior to sun exposure, it gives a smooth, matte finish that thoroughly hydrates while it helps to prevent sunburn. That’s because it has broad spectrum SPF 25 which gives you UVA/UVB protection. This moisturizer is quickly absorbed, and because it’s oil free and non-greasy it won’t clog your pores … it’s lightly scented but non-irritating and non-drying! I’m so impressed. Do you think it stops here? Nope. The goodness keeps on coming. Since Olay® Regenerist Whip SPF is formulated with advanced Amino Peptide Complex II, it will help regenerate surface skin. Your face will have improved elasticity which will help diminish the look of fine lines and wrinkles. Note: Olay® Regenerist Whips are available with and without SPF. Olay® Regenerist Whip SPF has got me sold!! Have you tried this moisturizer yet? Tell me what you thought of it in the comments below. It’s not uncommon to have extremely dry skin. The weather, indoor heat, and showers all play a part in drying out our skin. New Olay Ultra Moisture Body Wash, launched earlier this year, and is available where Olay products are sold. Do I think you should try it? It’s an upgraded, advanced formula that works so …. absolutely! You know the routine. First you shower using body wash, and then you lather your body with moisturizer once you’re dry. I’ll confess; I don’t always moisturize due to lack of time; however, my end result is drier skin. I just want one product to take care of my needs, and I think I’ve found it. New Olay Ultra Moisture Body Wash is a (new) body wash that is effective, smells wonderful, and costs under $10 … it absorbs and helps combat dryness at the source, rather than just sitting on the skin’s surface, and doesn’t leave a coated feel. This means healthy looking skin that feels clean and smooth all from one product! Personally I found that the texture of the body wash to be luxuriously thick and creamy, the scent to be mild and pleasant, and that it lathers well (especially with a body puff or loofah). I can feel the slippery-smooth-feeling all day long and I love it! At first, it looks like a lotion but quickly turns into a gentle foam while you lather. Once out of the shower, you might opt to use a body lotion for added moisture; however, with New Olay Ultra Moisture Body Wash you can choose not to. On a busy day, I did just this and noticed that I really didn’t need the added moisture … my skin was hydrated enough. Overall, what I love most; aside from the amazing scent and effectiveness, is that it rinses clean and is residue free. It’s exactly how I want my body wash to be. As proven in a new study, the sun dramatically impacts skin aging. Surprisingly, women are exposed to the sun on average of 840 minutes a week — showing how sun exposure is always occurring, even if you don’t necessarily notice it! Fortunately, Olay is launching two new SPFs this July – the Olay Regenerist Micro-Sculpting Cream with SPF 30 and the Olay Total Effects Anti-Aging Moisturizer with SPF 30. I get flashbacks about growing up in the 80s … when I say “growing up” I am referring to my teenage years. Those days we really didn’t understand just how damaging it is to lay out in the sun all day long! In fact, I use to make my own ‘sun tan’ lotion by mixing paprika and baby oil! Talk about a human shake-n-bake! I’ve since learned (haven’t we all?) that I should exercise extreme caution when it comes to sun care. The Regenerist Micro-Sculpting cream begins to show improvement in wrinkles and fine lines with the first day of use, and over time significantly improves your skin’s texture and firmness. Total Effects fights 7 signs of aging, including age spots, dryness, lines & wrinkles, uneven tone, uneven texture, dullness, and lack of firmness. These new formulations have added Olay’s proprietary Advanced Solasheer Technology, a broad spectrum sunscreen giving protection from both UVA & UVB rays. This protection is combined with Vitamin B3 and Glycerin to provide great moisture. 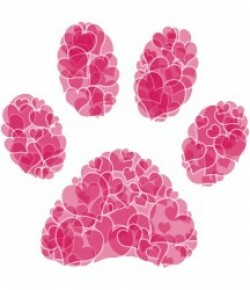 The products are fast-absorbing, non-greasy and light weight. Very comfortable to apply and wear. Myth: Canadians spend less time in the sun. Fact: While sun’s damaging effects on the skin are widely known, data from the Public Health Agency of Canada reveals that Canadians are spending an increasing amount of time in the sun, despite its known risks. Everyone flocks outside during the first warm day, but these sun seekers are also accelerating the aging process of their skin. As confirmed by Olay’s Multi-Decade and Ethnicity Study done in collaboration with Professor Alexa Kimball at Harvard Medical School, the sun is the number one cause of external skin aging, causing the degenerating of elastic skin tissue-which leads to deep wrinkles. Myth: I don’t let my skin burn so my skin won’t be impacted by the sun. Fact: Skin is affected by the sun every time it comes into contact with UV rays, even without a visible sun burn. In fact, up to 90 per cent of skin aging is due to the harmful effects of the sun. To see the effects of sun exposure, simply compare the skin on an area rarely exposed to the sun with skin on the face. You’ll see a difference in tone, colour and texture. The natural aging process is dependent on time and genetics, and is unchangeable. However, photoaging – the premature aging of the skin due to UV light exposure – can be avoided with good sun protection habits. Myth: All SPF products feel greasy on the skin. Fact: Concerns about a greasy feel are reported by women to be a top barrier to using a daily SPF product, but it doesn’t have to be the case. Innovation is making it possible for light weight, fast-absorbing facial moisturizers to offer both anti-aging benefits and Broad Spectrum sun protection. Dr. Pon encourages patients to use non-greasy formula products designed specifically for the face, to ensure daily use, and year-round sun protection. Myth: SPF 30 offers twice as much protection as SPF 15. Fact: In fact, standard math principles don’t apply when it comes to SPF ratings. An SPF 15 blocks around 94 percent of harmful UV rays; an SPF 30 blocks around 97 per cent; and after that there is very little increase in UV protection. However, Dr. Pon recommends choosing higher end of protection and using an SPF 30 for daily use. This is also the recommendation of the Canadian Dermatology Association. Myth: Sun damage to the skin is only a concern during the summer months. Fact: Every season necessitates daily protection from incidental sun exposure – not just the warmer summer months. Most people underestimate the amount of sun exposure they get because it is often unintentional, especially in the winter. Your skin is like a memory bank – it remembers all your encounters with UV and adds them up. Even though sun damage is cumulative, it is never too late to start protecting your skin. Incorporating sunscreen into your daily routine is essential in protecting against sun damage. Myth: As long as I protect the skin on my face from sun exposure, I’m okay. Fact: While we’ve gotten better at remembering to protect our face, we need to pay special attention to ensure we’re protecting other exposed areas during our morning beauty routine. The ears, neck, lips and hands are often what people forget to cover and these areas are exposed to the sun as much as the face is.